Gracie Lee says "You Got A Friend in Me"
Hello, and meet Gracie Lee, in this photo she is 4 and a half months old. She is very active,and very quick to get her little nose right in the middle of the business. I can't help but to smile or laugh because it's like she really wants to understand whats going on. So smart she is, many things she picked up on I never really had to teach her. She absolutely loves people, and yes my bed pillows. She just wants to tear the stuffing out of them, and I mean she means it too. But since she has come into my life I could not imagine life without her. Her little sniffy nose right in my face when she wakes me up, certainly starts your day with a smile. 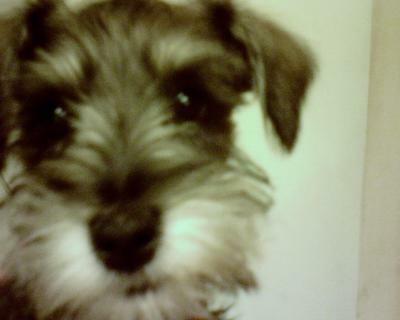 I often think to myself that everyone should have a miniature schnauzer, cause if you don't, you just wouldn't understand. Such great little companions, smart, absolutely adorable, and so full of life. So this is Gracie, and I'm sure if it was up to her, she would want so sniff, and say hello to each and every one of you, and trust me she would. 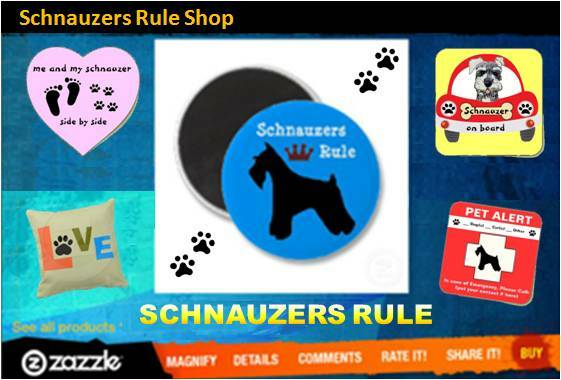 I would also like to thank Schnauzers Rule for so much information I rely on for all my questions, and curiosities about Gracie, and the things she does. Comments for Gracie Lee says "You Got A Friend in Me"
Harley Davidson waves madly at Miss Gracie! You are precious.